We all know the story of Romeo and Juliet from English lessons at school and the classic Baz Luhrmann film starring Claire Danes and Leonardo DiCaprio. But now, a new stage musical is imagining what life might have been like for Shakespeare’s doomed heroine if she’d survived, but her beloved Romeo hadn’t. Titled & Juliet, it follows the title character as she travels to Paris with her nurse and friends to rebuild her life after losing Romeo. Miriam-Teak Lee, an award-winning stage actress who was a member of Hamilton’s original West End cast, has been cast in the lead role. She was also awarded Best Actress in a Musical at The Stage Debut Awards for her role of Claire DeLoone in On The Town. 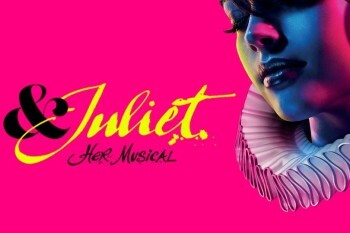 We have excellent tickets for the evening performance of this show at the Shaftesbury Theatre. Nearer the time we shall be arranging an optional dinner before the show. The cost of this event will include luxury coach transport, your ticket for the show and , of course, treats.